Michael Lavarch is Professor of Law and Executive Dean of the Faculty of Law at the Queensland University of Technology, a position he has held since March 2004. A QUT graduate, Michael commenced his legal career in Brisbane as a Solicitor. His time in practice was short, however, as in 1987, aged 26, Michael was elected to Australian Federal Parliament in Queensland. He served three terms in the Parliament until 1996. Prior to his service in Parliament, Michael served from 1982 to 1987 as a Councillor on the Pine Rivers Shire Council. In 1993 Michael was appointed as Attorney-General in the Australian national government. As such, he had policy responsibility for major areas of substantive law, including Australian Company Law, Family Law and Bankruptcy Law for the major institutions of justice, including the Australian Federal Police and the Commonwealth Courts, including the High Court. Following the 1996 national election, Michael resumed his legal career working as Special Counsel to the legal firms of Dunhill Madden Butler and Deacons, where he specialised in land access issues for major infrastructure projects, particularly in the areas of native title and cultural heritage clearances. From 2001 to 2004 Michael was the Secretary-General of the Law Council of Australia, the peak industry body for the Australian legal profession. His term as Secretary-General saw considerable progress on a comprehensive recasting of the regulation of the legal profession towards the facilitation of national legal practice and the adoption of national practice standards for all lawyers. - Director, Australian Energy Market Operator (AEMO) which is responsible for the administration and operation of the inter-connected power system and wholesale electricity market and the gas markets in Queensland, New South Wales, Victoria and South Australia. Michael has carried out extensive work in the field of constitutional law, including being an elected delegate from Queensland to the 1998 National Constitutional Convention which debated and proposed amendments to the Constitution to establish an Australian Republic. He was also an appointed delegate to the Queensland Constitutional Convention in 1998 and in 2003 he was appointed by Prime Minister Howard to an expert panel to review and report upon proposals to change the way in which conflicts between the House of Representatives and the Senate are resolved. 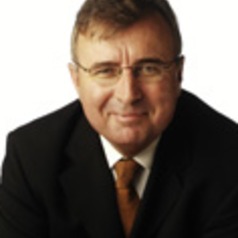 In 2009 Michael was appointed as Chair of the Consultative Committee to the COAG National Legal Profession Reform Taskforce which was formed to progress a plan to achieve national regulation of the Australian legal profession. The Consultative Group will play an important role in identifying issues, providing advice and developing recommendations on this important reform agenda. - Participant in the Australia 2020 Summit convened by the Prime Minister in 2008 to bring together 1000 Australians to debate ideas about Australia’s future. Michael participated in the stream dealing with the future of governance.